Home → News & Events → Newsletter → Check out our new location! Sarah Nottingham, RMT has moved down the street to 2315A Bloor St West! Her new home is at Ohana Wellness Clinic which is located on the south side of Bloor St W, just east of Windermere Ave.
‘Ohana’ is the Hawa iian word for family and at Ohana Wellness Clinic our philosophy is to provide a canopy of care for the whole family. We are dedicated in providing treatments for all ages, from infants to adults. Under our canopy of services you’ll find the treatment that best suits you. Whether its a Massage Therapy treatment to aid in the rehab of an injury, seeking Naturopathy to cope with the cold and flu season or Acupuncture to accelerate healing. Our client-centred approach assesses each person individually to adequately address their needs. Our team of professionals are passionate about the modalities they provide and work collaboratively to give you the best care for your needs. Our logo not only embodies Ohana but also the Monkeypod tree, known for its giant umbrella shaped crown. The Monkeypod canopy provides shelter, nourishment and health to the plants and animals living beneath it and is unique because the leaves gently fold in the evenings collecting moisure, thereby opening during the day providing water to the grass and plants below. 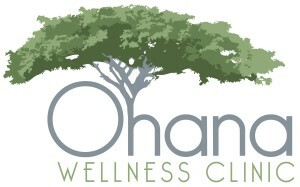 Like us, at Ohana Wellness Clinic, we strive to provide heath and well-being to those seeking our services from under our canopy of care.